Good morning everyone! Thanks to everyone who came to the movie night this weekend. We had a great time, the pastries were as good as the movie was bad, and now we are all friends through eternity, loyalty, honesty; we'll stay together through thick and thin. Thanks again, and we'll see you at the next one! Bingo month is ongoing, and there is plenty of time to fill out your cards! We have plenty of Workshops in the next six weeks. That should catch everyone up. See you on the mats! A great workout that builds both strength and endurance while you learn practical self defense skills. The classes are relatively small and accommodate men and women of all ages and skill levels. Scott and Mary are experienced, knowledgeable instructors that use real life scenarios to teach. Everyone is friendly and supportive. Developing the knowledge and skills necessary to defend yourself or your family in a bad situation provides a tremendous sense of confidence. 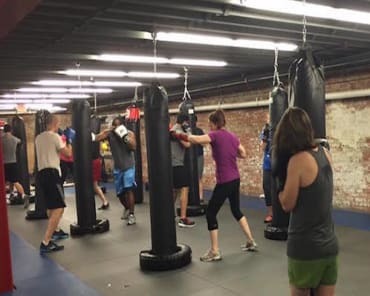 Krav Maga Wake Forest is a great place to get fit and learn to protect yourself. Mary and Scott are not only supportive of your goals but give you excellent feedback to help you do your best during training. They are not only amazing instructors, they are supportive friends. The other benefit is my classmates are amazing and supportive as well. Going to Krav Maga Wake Forest is the highlight of my day! I cannot stress how much I LOVE this place. I am so glad I found Mary and Scott and I can't wait to meet my goals with them. Give Krav Maga Wake Forest a try, it will change your life for the better! Looking for a great workout? Looking for a sell-defense/martial arts that really works? Check out Krav Maga Wake Forest. 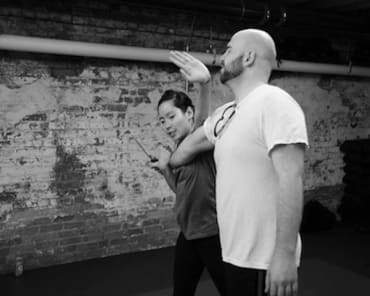 Scott and Mary are both fantastic Krav Maga instructors who really know how to teach. They safely show you how to handle dangerous situations. Not sure if it is for you? Give it a try. It is so much more fun than running on a treadmill for an hour and you will burn twice the calories at a Krav Maga class. I have been a student for over a year and love the place. You can also use the downtown Raleigh school for the one membership. The students are all normal everyday people (not crazy MMA fighters) - doctors, office works, vets, real-estate agent, designers...etc.